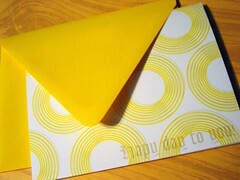 Since the weather has just been so glorious the last few days I decided to list my 'happy day to you!' note cards! They are ever so cheerful! Wouldn't you love to receive one of these in the mail?! The note cards come as a set of 6 and are blank on the inside. I hope that the weather continues to be great all summer (as I do have a wedding coming up!) because it is a great feeling to wake up every morning to the bright sunshine! 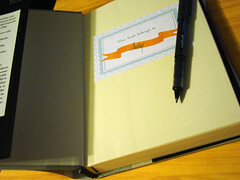 For all the book lovers out there, or just the people who hate borrowing a book to someone and never have it returned, you can now put bookplates in your book with your name on it! They are in the shop already and come as a set of 6. 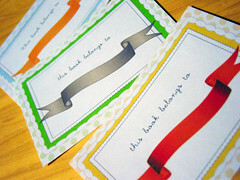 You will receive 2 of each color and they are printed on handy dandy sticker labels! 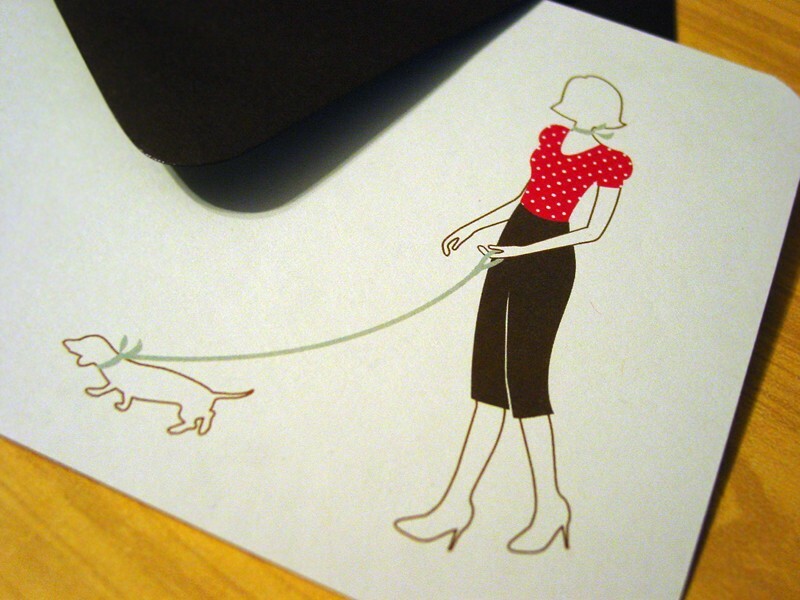 Retro Lady and Dachshund already on front page! 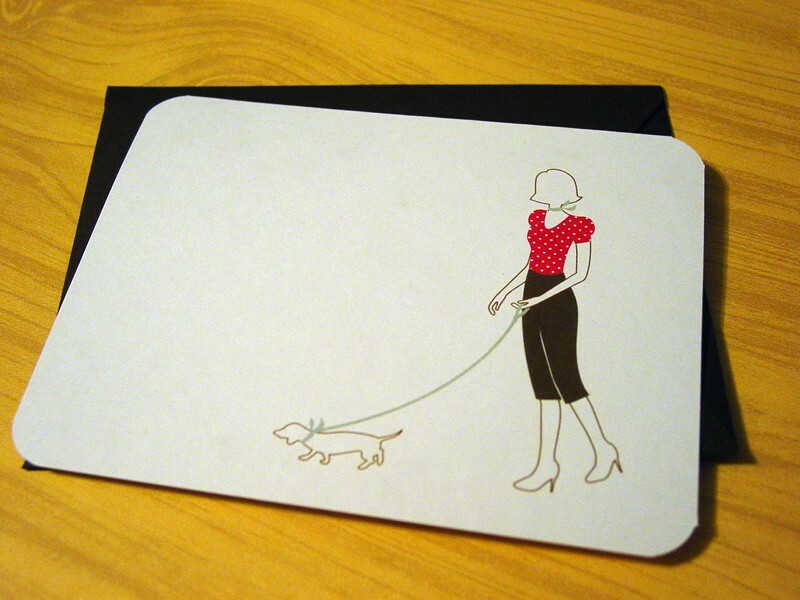 I was shocked to see that only 15 hours after I listed my retro lady & dachshund flat cards they made it to the front page! 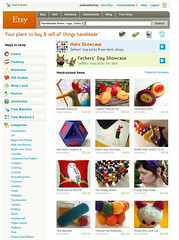 Big thanks to Xenotees for including my cards in her treasury! A new design was introduced to the shop today! I just love making cute little clothes for this retro lady! Pretty soon here I am going to have to give her a name because she is popping up in quite a few designs these days (soon a few more will be introduced to the shop! shhh...!!) 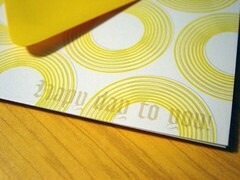 These retro flat cards come as a set of 6 and paired with a chocolate brown envelope. You can find her here! Have a great weekend all! I am off to do a TON of wedding things! Hopefully I can get quite a few of them checked off! 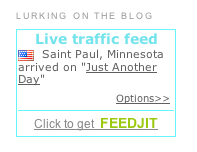 I just added this neat little feature from feedjit.com it will tell me where people are coming from to view my blog! You can copy/paste the code into your blog sidebars. easy peasy! You can view mine on the bottom of my right hand side bar!